Everything tastes better when dining al fresco with views of the Southern California coastline. 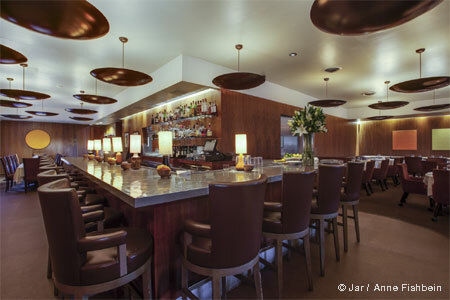 Lunch Mon.-Fri., Dinner nightly, Brunch Sat.-Sun. 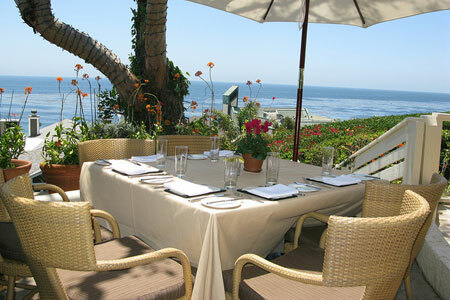 : Perched on a romantic Malibu hillside, Geoffrey's offers a spectacular view of the curving Southern California coastline, and its flower-filled patio is a fine spot for a candlelight dinner or Sunday brunch. So don't even consider driving out here without a reservation. Brunch specialties range from challah french toast to crab cakes Benedict to a shiitake mushroom omelet with shallots, tomatoes and Brie. For lunch, choose from grilled ahi Niçoise salad or sautéed day boat sea scallops with Maine lobster risotto. Dinner entrées include Prime Wagyu New York steak accompanied by Parmesan french fries and a two-pound Maine lobster served in a puff pastry basket. Check out which of Geoffrey's friends scribbled the pictures on the inner walls (yes, that's Robert as in De Niro, Whoopi as in Goldberg and John as in Travolta).